The Grammy winning R&B sensation's highly anticipated follow up to 2015's 'Know It All' is set for a November 30 release. Three years after Alessia Cara released her debut album 'Know-It-All', fans of the Grammy-winning Best New Artist are finally getting the follow-up album they've been eagerly waiting for. Cara announced Friday that 'The Pains of Growing' will arrive on November 30 via Def Jam Records, and unveiled the album's 15-song tracklist and cover art. The 15-track album will include both early singles 'Trust My Lonely' and 'Growing Pains', which the singer debuted on Fallon earlier this June. On July 11, the young alt R&B singer celebrated her 22nd birthday with the single 'A Little More', which also features on the forthcoming record. Pre-orders for the album are ongoing here. 'The Pains Of Growing' is a self-penned, autobiographical album chronicling Cara's personal experiences over the past several years. 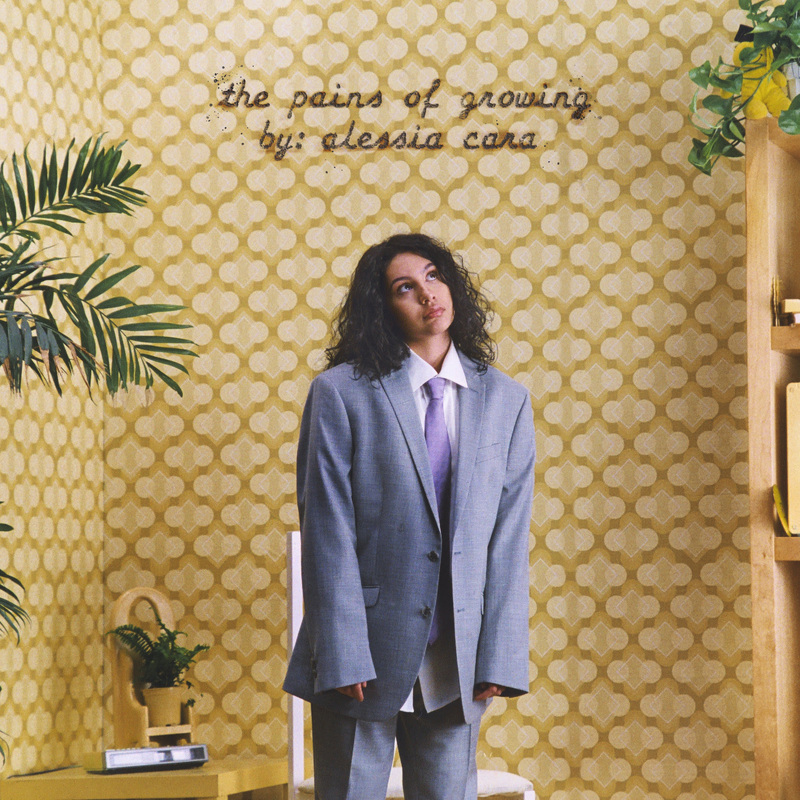 The album art echoes the theme of the album with Alessia once again draped in the symbolic, oversized suit she wore in the 'Trust My Lonely' and 'Growing Pains' videos, as well as her recent appearances on Fallon, Colbert and The Today Show. Recently, while answering few fan questions on Twitter, Cara confirmed that she wrote all of the songs on the new record. Also, although there are no features on the record, Cara did enlist No I.D. to produce 'Comfortable' and hinted that she'd like to work with Anderson .Paak in the future. Cara will continue to promote her album leading up to the release. On Saturday, November 3, Alessia will make her Austin City Limits TV debut performing hits 'Scars to Your Beautiful,' 'Growing Pains,' and more. Alessia is set to perform 'Trust My Lonely' at this year’s MTV EMA’s, broadcasting live on Sunday, November 4 from Bilbao Exhibition Centre in Spain. Check out the tracklisting for 'The Pains of Growing' below, followed by the album art.